As far as rallies for embattled mayors go, today's affair in support of Mayor Vince Gray at the Wilson Building was pretty tame. For another, hardly anyone was there. Were it not for reporters, the rally for Gray would have been more like an intimate gathering for Gray, in which diehards took turns at a bullhorn professing their support for the mayor and expressing their disdain for his opponents. 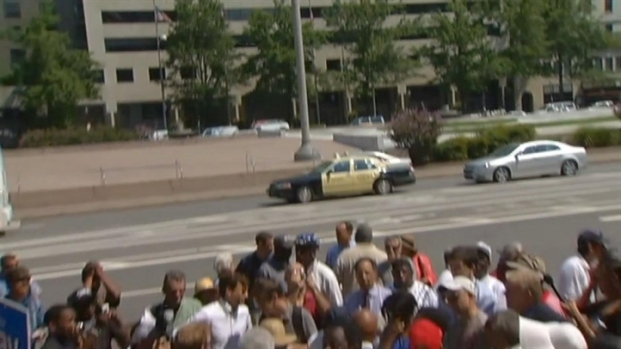 Ministers and citizens who believe Mayor Vincent Gray should not be hounded about stepping down before facing any charges rallied in D.C. Wednesday. News4's Tom Sherwood reports. "I can't help but think that with $5 million raised in the war chest in the opponent of Mayor Gray, you might find something. If you look at anything hard enough and long enough, you will be able to find something wrong," Wilson said. 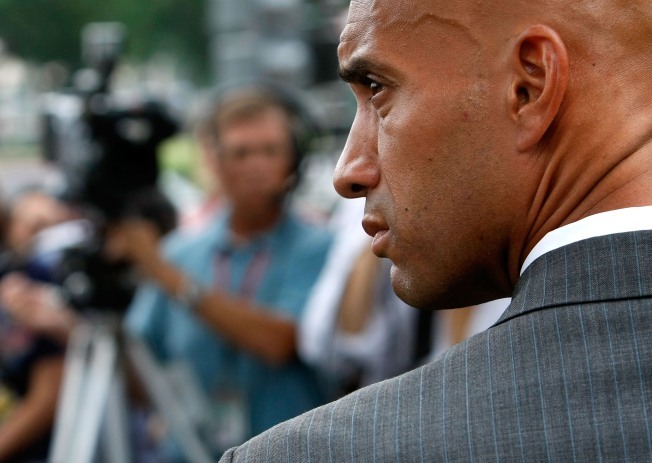 Wilson said Gray's campaign has received an unfair amount of scrutiny and that the U.S. Attorney's Office was responsible for creating a "media frenzy" by leaking sensitive information that had tainted the good names of some of D.C.'s most respected citizens, including Thomas Gore (who pleaded guilty to destroying evidence related to improper payments to Sulaimon Brown), Vernon Hawkins (who used to work for Wilson and allegedly help run a vast off-the-books shadow campaign) and Jeff Thompson(whose longtime associate said in court last week funded that shadow campaign and was also behind thousands in illegal "straw donor" contributions). In an interview after the rally, Wilson declined to speak to what the feds' motivation would be for such shenanigans: "I don't know what the motivation is. I know it's not right, I know it' s unjust and it's unfair. Period." LL doesn't know about that, but campaign records do show that the Fenty campaign took a lot of money from Thompson's vast network of donors well before Gray got into the race. Some of those donations can be linked to Jeanne Clarke Harris, the Thompson associate who said in court last week that she helped direct $44,000 in straw donations to Gray's campaign. Sudip Bhattacharya contributed to this report.